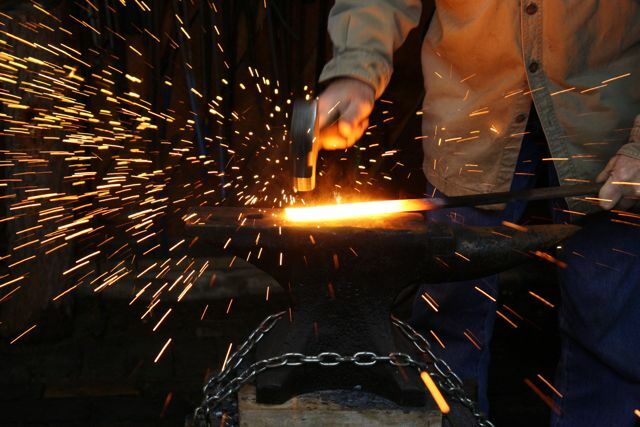 Ever see a blacksmith in action, and marvel at the glowing steel, the roar of the forge, and the ringing of the anvil? Maybe you’ve wanted to learn blacksmithing, but had no idea where to start? Well now you can! 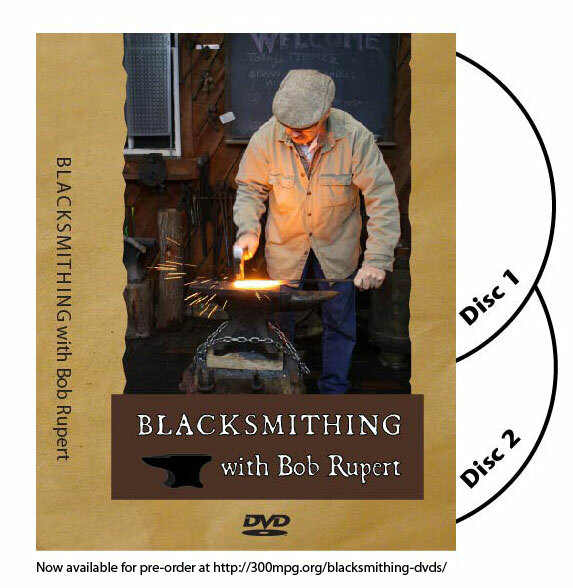 We’ve teamed up with a video producer and a traditional blacksmith to bring you BLACKSMITH BASICS, featuring award-winning traditional smith Bob Rupert! This one-hour instructional DVD takes you through all the basics of smithing, including tools and how they are used and various techniques, including Twist, Taper, Hot Cut, Slit Hole, Forge Welding, and more! Disc 2 is an hour dedicated entirely to starting and managing the fire and heat in a traditional forge. The Blacksmithing set is now produced and ready to ship. Order now, for FREE shipping in the US. I live in Brazil. How do I buy the DVD? Just click the BUY NOW button in the upper-right of the page. Orders outside of the United States will take longer, and I can’t provide a tracking number without significant additional postage cost. All of our orders ship to anywhere in the world, we just can’t guarantee how long it will take to get there. Hi, can I please use the image of the smithy with the anvil for an academic event poster? Thanks! Yes, you have my permission to use it for a one-time academic event. Thanks for asking! Is it possible for me to pay for your videos and then download them? The Build Your Own Electric Car and Electric Motorcycle videos are available as downloads through Vimeo’s Video on Demand service. “Blacksmithing” is currently NOT available as a download.